To date, there have been over 150,000 times a teen has opted to attend meetings for support and outreach. The Teen Addiction Anonymous program will train professional youth advocates in a LEADERSHIP/PREVENTION program which will provide “teen led” MPOWRD meetings 52 weeks of the year. MPOWRD training is a two-day, fifteen hour program, offering comprehensive strategic program development for implementation at a youth support facility, such as: high schools, juvenile facilities, and youth support agencies. As of August 2019, this opportunity will be offered in an online training capacity with an option to expand the training capacity to multiple staff members over the lifetime of the site. Maintaining personal empowerment, processing addictive behavior, creating a plan of action within peer to peer leadership and support creating optimal opportunity for positive decision-making are the key focus points. Breakout sessions with specific lesson plans for meetings are included in the training manual and will be modeled throughout the two-day program and on the online training. Trainings are comprehensive, encouraging problematic issues to be addressed within the networking of the participants and their resources. 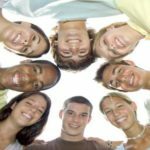 Teen Addiction Anonymous is neither therapy nor treatment, however, it may be used within those support settings as an educational and prevention tool . Contact: srothery@teenaa.org for further information.